What is the Current Network Type on my computer? How to change network type windows 10? I. Change windows 10 network type using Windows settings. In the new era of Windows, Windows 10 now comes with the integrated firewall that has predefined configurations for the windows. Windows 10 operating system allows only the tree ways and the type of the network on windows built. All these three types of the Windows network types use the different configurations and the accessibility to the network. you can make the changes between Public, Private and domain. 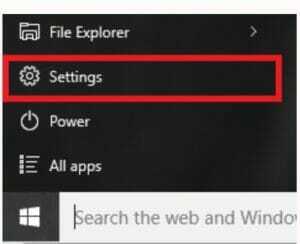 When you by default make the changes in the windows network, or you get connected to the new network, then your computer chooses the correct and best-suited network for Windows 10. If you feel unfit for the windows to run on the same network type then its ok. But if you want then you have options to change network type windows 10. 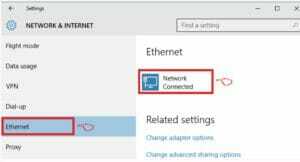 Initially or by default option for windows 10 change network type, you get the choice to select the network type when usually you get connected o any surprise network or where our windows fail to determine the actual category for the selected network. When connected to the new network and you get to select the network type you want your connection to fall in the category, then the windows firewall make settings accordingly for your network connection and the type of connection you have chosen. Well, there are three main network types that you can select on the windows 10, let’s have a close discussion about all the three network types and their special features. When you connect your computer to any new network, Typically it goes into the category of Public Network. Using windows 10 change network to private from the public network from the settings. Windows asks you for the network choice. When you do not select any network on your computer, then the windows will configure the network using the windows firewall settings and the public network rules. The windows firewall rules for the public network are the most restrictive one’s. since the public network is a sort of open network and also the public network increases the risk of hacking and phishing attacks, the Public network gives he limited accessibility to the internet usage. Using the public network disable the ability of shared printers use, network discovery is disabled, and also there are many restrictions in the file sharing too. The public networks are suitably used when you are using only one computer and you do not need to have the communications with the outer devices or the users. The public network is useful when you are using the computer laptops, or tablet devices with Windows 10. These networks are basically used for entertainment purposes like watching movies or playing games. Make sure that you have activated windows using windows 10 product key. Basically, you can set the private network on the connection ou trust. Either it is your home network or your work network, Private network in Windows 10 is the network that you trust upon and all the function present in the network are working correctly. 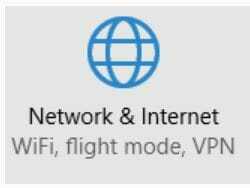 When you select any network as your private network for your Windows 10, you will be able to use most of the networking features and will be able for the shared devices, files sharing, printer sharing and many more apps and software that do not trust the public network and hence they do not work well. Make sure to select any of the networks as your private network only when you have the trust on the connection. As hackers can attack your computer or malware attacks may occur if you choose the wrong network as your private network. Domain network is the network that gets detected and falls in the category automatically when your computer becomes the member of the Directory domain network. Or talking in the more simple language, we can say that the network that adds up your computer by another network controllers directly, then surely the network acts as the domain network. This type of network is basically the secure network and the computer asks for the permissions before giving access to it. When the computer gets the connect access for the network, then this network works as actually like your private network with all sorts of access. Windows 10 usually detect these types of the networks and asks for the permissions. Once the permissions are done, then you have your domain network connected with all the windows firewall access. Domain network usually provides more security and administration control for your computer. here the administrator can use and change the different security configurations using the Active Directory group policies. Coming back to the topic, in this post we are here discussing change network profile windows 10 and how can follow the steps to the network change in windows 10 Please keep reading the article for getting the method to change the windows network type. No, you will be shown with the connected internet connection and you have to simply check for the type of network connection you are using on your computer. There are a few different and many simple methods that can easily change the windows network type you are using. Let us now discuss some of the different methods to change the network type. > Network and Internet – go for the network and internet settings. > HomeGroup – select the homegroup option. Click on the accept button and go to another option that will make you choose the preferred network type for our computer either home network or private network. You can configure each type of these networks in more detail by clicking on the link “Change advanced sharing setting.”. You can also change your preferred network type in windows registry anytime and select or choose the best network type for your windows 10. This option is however easy for the professional level of users of the windows. Those who are comfortable with computer languages and are pro users of Windows 10 can easily go for this option. In fact, it is also not too hard to understand and you can also make changes to your network yourself. Just follow the steps below and you will be able to make the changes to the windows network type by yourself. However, make sure you at least have the basic knowledge for the computers. > regedit – type regedit in the run option and click enter. Now go to network list and select profiles. When you will enter into the profiles, then you will find many different GUID. This GUID list will be corresponding according to the number of the network on your computer. Select every subkey in different GUID lists. This list and the profiles selected should be as same as the number of network cards you are using on your computer. Select each sub-key of the Profiles and look for the ProfileName key in the right-hand pane. This will give you the name of the network so that you can easily recognize which network you want to change. After you have selected and rectified ut the correct subkey for your network, You have to now change the category in the right side of the screen to change the network type of ay particular network. 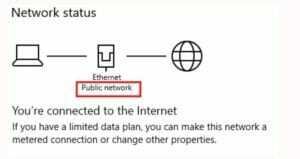 This is also another method by which you can change the network from public to private in windows 10. follow the steps below for more options. Select Network List Manager Policies. This will list all the networks in the right-hand pane. If you want to do this for all the connected networks, you can double-click All Networks instead of your desired network. Set-NetConnectionProfile -Name “ITT” -NetworkCategory Public. PowerShell command to change network type. Since the Windows 10 have the abilities to make the choice of the network on the basis of the properties of the network and the windows firewall acts accordingly to make the windows network working with all features and assessability. Windows 10 offers many security features and it is amongst them. However, most preferably Windows chooses the network type and public network for a new network. It is recommended that you make your windows connected with a private network but if it’s really a private. Private network means that you have the secure dedicated line for yourself and it is easy for you to be safe and secured. ALSO READ: How to Activate Windows 7 for free? Private network in windows 10 leads all the features working and the firewall is working least to protect your pc as it considers the private network as the safe network or you.